so said ellie: Don't panic, I know science! Don't panic, I know science! 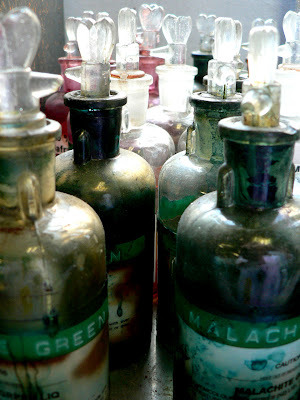 At first I was going to say I love these old bottles, the look of the tops and the general old-fashioned coolness. But then I changed my mind because they're so manky and gunked up with old dye. They make a nice picture though.